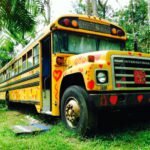 Hawaii Eco-Hostel: 2-bed Shared Dorm Spaces! Though some interns may apply for a private space and some volunteers may wish to enjoy a private upgrade, it is also nice to for volunteers, interns or guests to share a dorm space. After all, it is a jungle that we live in! So you will be hearing strange jungle noises! this is why newcomers often like to share a space. 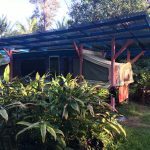 Each dorm space at our Hawaii EcoHostel Community can be utilized as private space or shared dormitory. You enjoy use of shared community facilities. Price is for one bed in a shared space with one other person. Dorm bookings are separated by gender unless otherwise arranged. For Interns, Weekly/Monthly Guests & Fair-Trade Volunteers. Use this form if you have read about our programs and are ready to apply! Please allow 10-20 minutes to complete the online application.